Weight: Dry - 916 lbs. | Filled - 5,753 lbs. 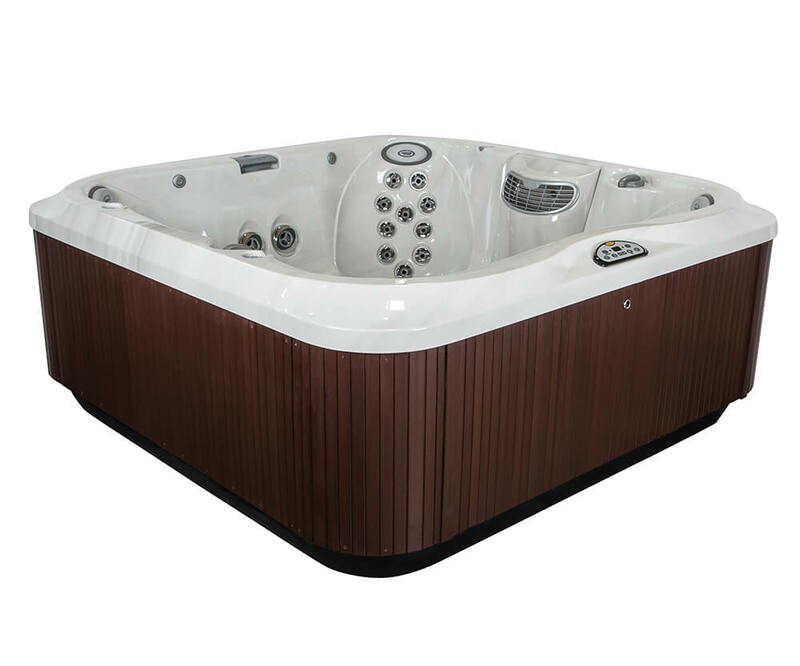 The Jacuzzi J-385™ Hot Tub is the flagship model of the J-300™ collection, with plenty of room for up to seven adults. 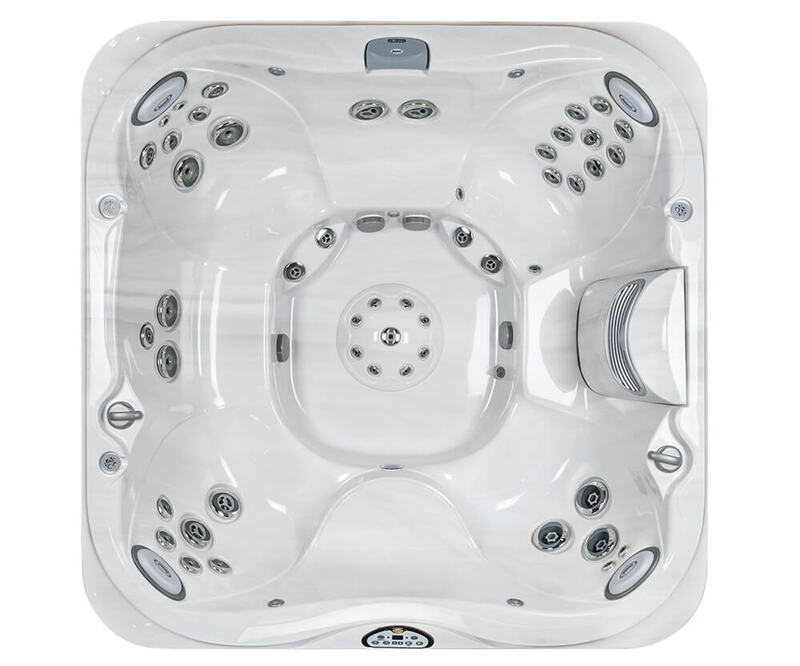 Featuring PowerPro® Jets, including 20 FX Jets and a jetted foot dome, repositionable headrests and an advanced control panel, the ergonomically designed J-385™ Hot Tub puts comfort at the forefront and guarantees you an experience of pure relaxation. Further customize your J-385™ hot tub with our color options and build and price tool. Watch the following video to get your first look at the features and design that makes the J-385™ such an amazing hot tub.